Eggs have long been identified by health experts as being the cause of high cholesterol and heart disease. However, some sources state that egg consumption may do more good than harm which leaves us in a dilemma and sufficiently confused as to whether we should continue to consume eggs or avoid them altogether. This then leads us to the question: How many eggs should we be eating? 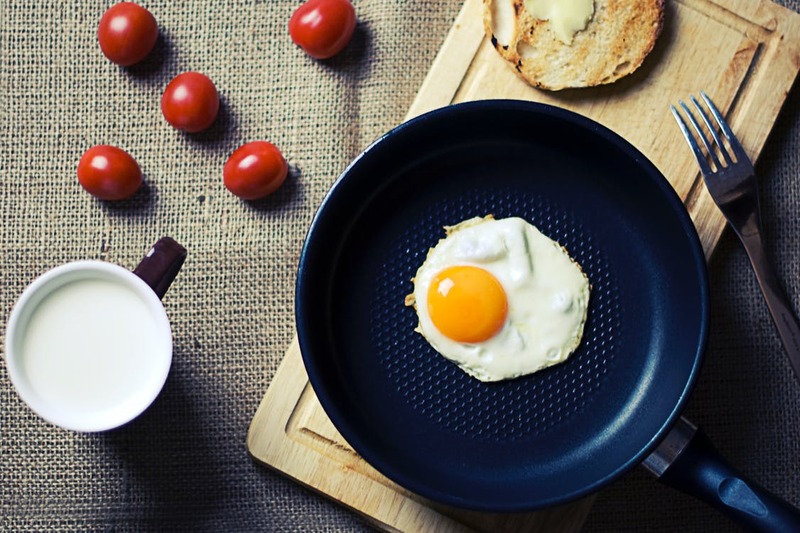 For individuals without medical issues, it is fine to consume an egg a day as this does not significantly increase cholesterol, cardiovascular risk or mortality. However this is not to say that we should consume more than that because current research has not gone past this threshold yet hence there is no substantial evidence to suggest that it is alright. To better our egg consumption, we could pair them up with healthier accompaniments that are low in saturated fat and sugar! In addition to this, we could choose eggs that are omega-3 enriched as these are heart healthy and helps lower our risk of cardiovascular disease and high cholesterol. Boil a deep pot of water at high heat, adding a tablespoon of white vinegar. When the water boil, lower the heat till it simmers. Add a pinch of salt, pepper and paprika (optional) to the mashed avocado along with the lemon juice, stirring it so as not to further break it down. Stir the pot of water in (1) and subsequently lower the bowl near the water, gently pouring the egg in, letting it cook for 1-2 minutes depending on how you like the consistency of the yolk. Remove the egg from the pot with a slotted spoon and place it on a paper towel to drain. Once drained, place it on the toast. *You can always keep the other half portion of the avocado butter in the fridge for up to 2 days. Acid in the lemon prevents the avocado from oxidising and losing its colour. Even if it does lose its colour, it is still edible if the smell does not go off!